US Ambassador Earl R. Miller visited Nobo Jatra working areas in Dacope. 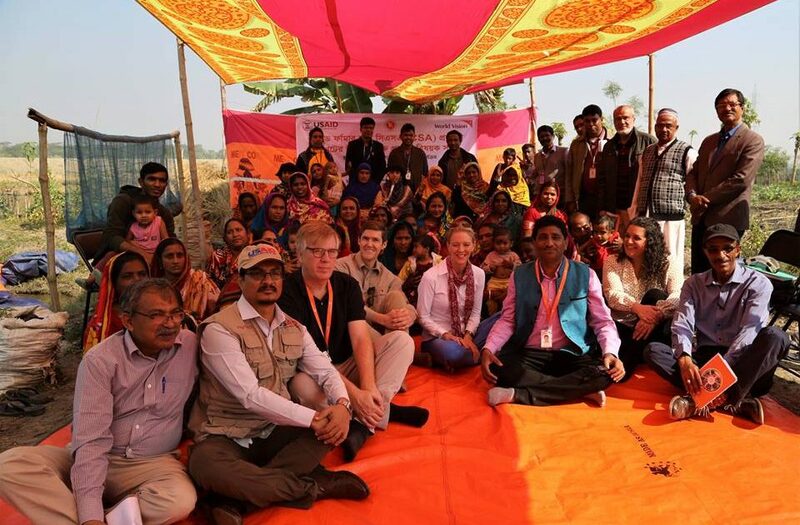 Accompanied by World Vision Bangladesh National Director and Nobo Jatra Chief of Party, the Ambassador interacted with lead farmers to observe climate smart agriculture and local entrepreneurs with hatcheries. 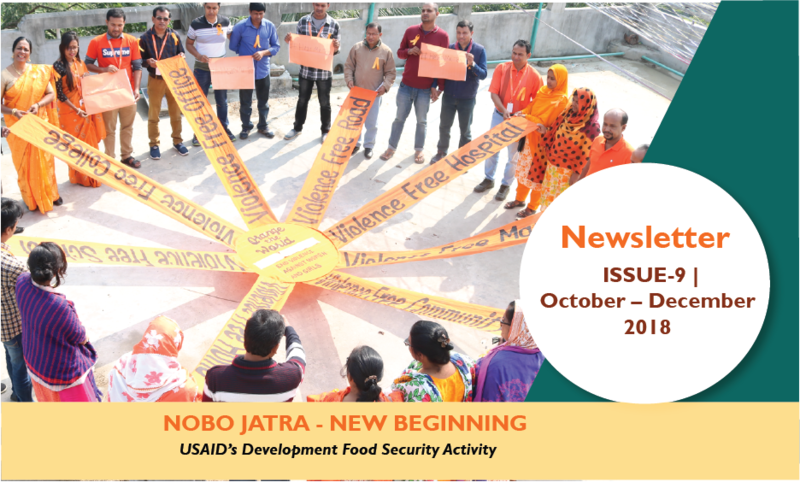 The 9th issue of the Nobo Jatra Newsletter was published in March 2019. Nobo Jatra signs an agreement with Dnet as a partner for Mobile Alliance for Maternal Action (MAMA) messaging. Pregnant and lactating women in the project working areas will receive text messages and phone calls with targeted health and nutrition advice tailored to their gestation cycle or age of child. Parallel to broader coordination strategies, Md. Zakir Hossain Akanda, Additional Secretary (Relief), Ministry of Disaster Management and Relief undertook a field visit to Khulna and Dacope from the 22-24 October 2016. Nobo Jatra, a USAID Food for Peace Title II Development Food Security Activity commenced in September 2015 and will come to end in September 2020. Improved gender equitable food security, nutrition and resilience of vulnerable people within Khulna and Satkhira districts in Bangladesh. Nobo Jatra works to change childcare behaviors, improve intra-household food allocation, and integrate MCHN services and messages with GoB and private health care providers to improve nutritional status of CU5 and caregivers. Nobo Jatra aims to reduce incidences of diarrhoea among children under 5 through improving access to safe drinking water, sanitation and hygiene for poor and marginalized communities. Nobo Jatra supports vulnerable men and women to increase their income and access to nutritious food through entrepreneurial literacy, agriculture and alternative livelihoods with an emphasis on approaches with potential for high involvement and low barriers to entry for women and youth. As a cross cutting area, the project makes continuous efforts to ensure women’s equitable participation, improve access to/control over resources and increase decision-making power. The social accountability gender integration strategy will focus on facilitating women’s access to leadership positions, leadership training and strengthening their role in decision making. Nobo Jatra works towards improvements in household and community resilience in the southwest coastal context through coordinated and focused support of multiple actors including households and communities themselves.